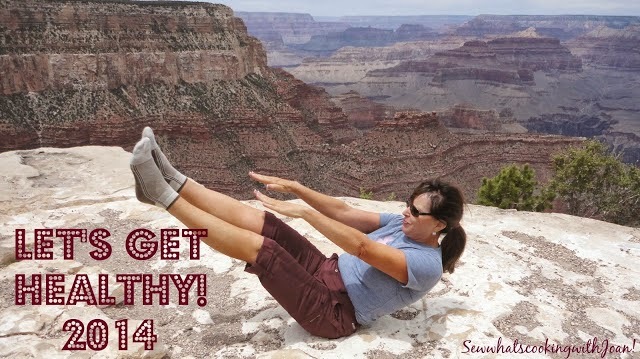 Five days to touchdown! With a big event like Super Bowl Sunday on the horizon, you want to make sure your snack game and half time dinner is on point. Wee Bear and I LOVE our SEAHAWKS! Whether you are hosting or bringing snacks to your Super Bowl Party, I have some AMAZING noshes for you! Warm up the couch, it's time for football and extra points for Super Food! Score a touchdown with my assortment of easily prepared, quick to serve yummies, and no matter who's winning, you will be a winner! Chili, sliders, cookies and more!!! Don't miss out on this TASTY MENU!!! 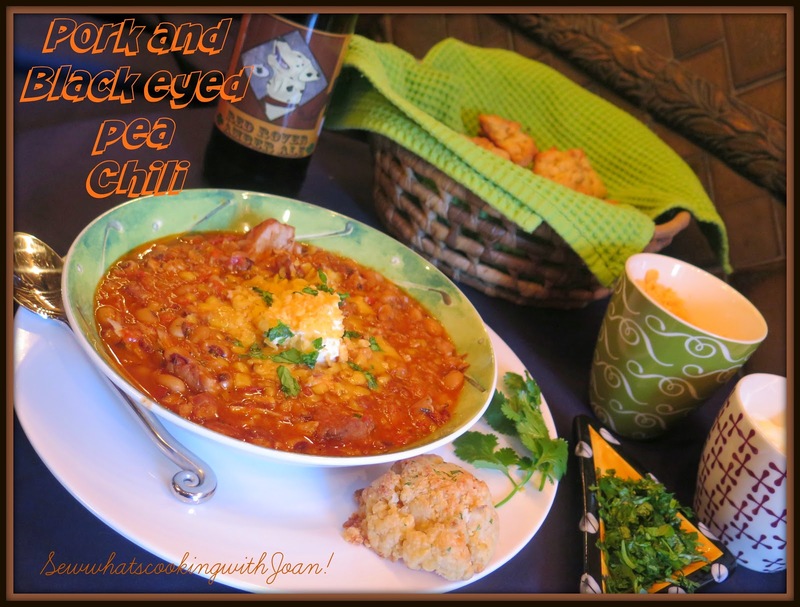 Pork and Black eyed pea chili! Seahawk's and Patriots in Superbowl XLIX! The Seahawks two years in a row! We all know where my heart is!! I had season tickets since the inception of Seahawks and waited and waited and waited! Now two years in a row!! I gave up my tickets once we moved to Winter's in Scottsdale, but I never gave up hope. Wee Bear and I are so excited!! 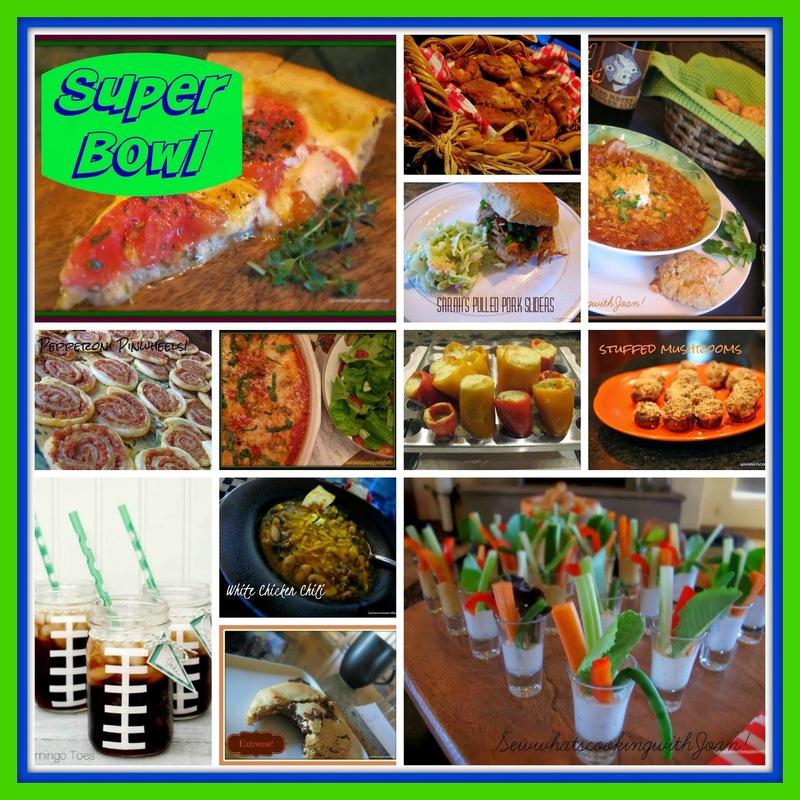 I have perfected the perfect meal for your Superbowl party!!! This is so easy and delicious! It's January.......some of you want to cut back, some of you want to keep this party going right on through Super Bowl!! I have you both covered with this recipe!! 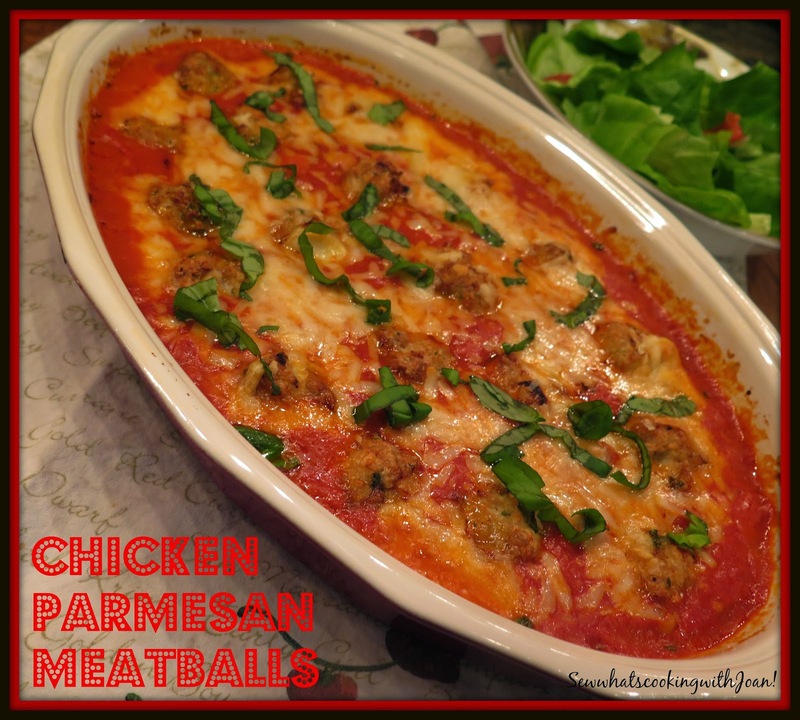 I used ground chicken to make these meatballs light, but, for the partier's...you won't even notice!! And for that Superbowl party, make them into meatball sub sandwiches..........oh, so yummy!! 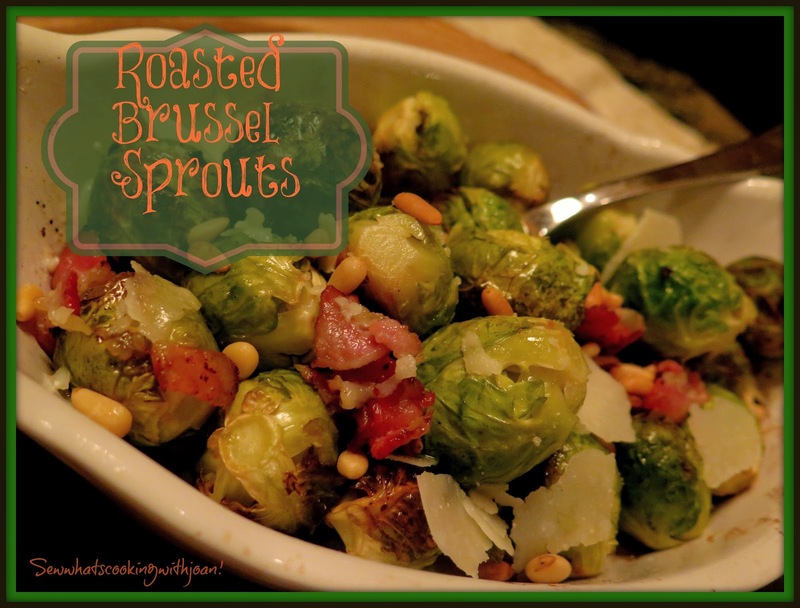 My son, Dustin and daughter-in-law, Amy were the first to introduce me to this new foodie rage, brussel sprouts! I was shocked at how excited they were, and especially my son, who, hated everything green except green beans growing up. Who is this young man? This can't be my son? He would never let brussel sprouts touch his lips when growing up. Then, my daughter-in-law Eva and her mother Eva, made them for Thanksgiving and Christmas with bacon and balsamic.....Hmmmm I was slowly catching on. Next, my son came home from a trip to New York raving about how they are on every menu, in every restaurant! ......Oh, how the kid version of you guys would be disgusted! Ten top posts! Year end!! Happy New Year everyone! I'd like to take a moment to thank all of you who continually visit here and make this site possible. Your presence and interaction are vital to going forward and I appreciate all the sharing of recipes you do with family and friends. Many of you have been here since the beginning (almost 3 years ago). Together we have built quite a food community that continues to grow, flourish and only get better in 2015. Followers are well over 100,000 on Goggle, Goggle plus, Twitter, Facebook, Craftsy, email and Pinterest. I will compile the numbers on our third anniversary. It's always fun to look back over the years and see which recipes have been popular. Let's see if some of your favorites made the list!! Looks like the masses are interested in getting into a healthy work environment! 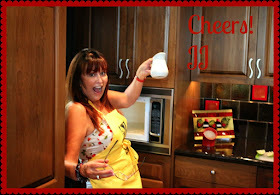 Look for top Healthy Companies of 2014 on "Sew whats cooking with Joan" in the near future.